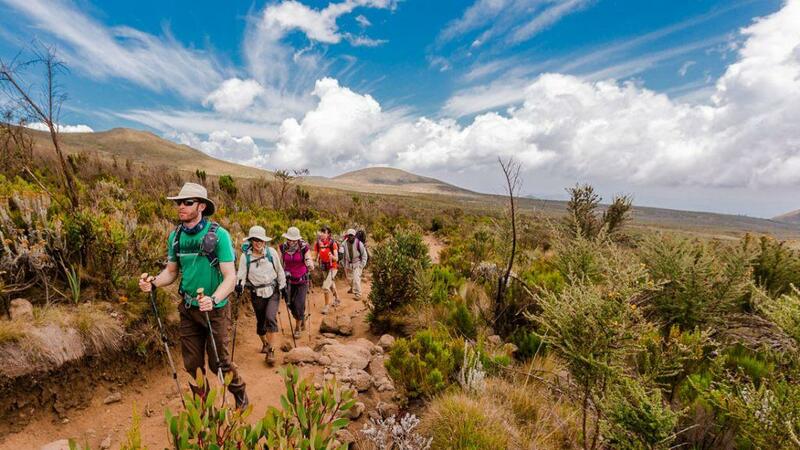 Kilimanjaro Climb 6 Days is our most successful and popular hiking route on Mt. Kilimanjaro, mainly as a result of the following two important factors. A day starts early with breakfast, from Arusha will drive to the Machame Gate (1828 m). The guides and porters prepare and pack the supplies and your equipment at the gate. After registering at the gate office, you start your ascent and enter the rain forest almost immediately. There is a strong possibility of rain in the forest, which will transform the trail into a very soggy, muddy and slippery experience. 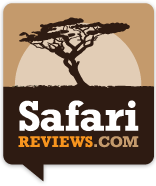 You will have a welcome lunch stop about halfway and will reach the Machame camp (3020 m) in the late afternoon. The route now turns east into a semi desert and rocky landscape surrounding Lava Tower, where you reach an altitude of 4642 m after about a 5 hour trek. Lunch is served at a designated area. This is definitely the toughest day so far. It is normally around this point, where for the first time, some climbers will start experiencing symptoms of breathlessness, irritability and headaches, After lunch you descent again by almost 658 m to the Barranco camping area. After reaching the high altitude of 4600 m at Lava Tower, the true acclimatization benefit of this day becomes clear. This descent to Barranco camp takes about 2 hours and offers great opportunities to take some beautiful photographs of the Western Breach and Breach Wall. The camp is situated in a valley below the Breach and Great Barranco Wall, which should provide you with a memorable sunset while you wait for your dinner to be prepared. The last water stop on the route is the Karranga Valley, as there is no water available at Barafu camp. Barafu is the Swahili word for ice and it is a bleak and inhospitable camping area to spend the night. Totally exposed to the ever-present gales, the tents are pitched on a narrow, stony, and dangerous ridge. Make sure that you familiarize yourself with the terrain before dark to avoid any accidents. The summit is now a further 1214 m higher and you will commence with your final ascent attempt, the same night. Prepare your equipment, hiking poles and thermal clothing for your summit attempt. This should include the replacement of your headlamp and camera batteries and make sure you have a spare set available as well. To prevent freezing it will be wise to carry your water in a thermal flask. Go to bed at round about 19 hrs and try to get some precious rest and sleep. You will get up around 23 h 20, and after some tea and biscuits you shuffle off into the night. You will head in a north-westerly direction and ascend through heavy scree towards Stella Point on the crater rim. For many climbers the 6-hour walks to Stella point is mentally and physically the most challenging on the route. At Stella Point (5739 m) you will stop for a short rest and will be rewarded with the most magnificent sunrise you are ever likely to see (weather permitting). From Stella Point you will normally encounter snow all the way on your 2-hour ascent to Uhuru Peak. The time you will spend on the summit will depend on the weather conditions. Do not stop here for too long, as it will be extremely difficult to get going again due to cold and fatigue. The walk back to Barafu from the summit, takes about 3 hours. Here you will have a well earned but short rest and collect the rest of your gear, before heading down to Mweka hut (3090 m). The route is not difficult and will take you down the rock and scree path into the moorland and eventually into the forest. The camp is situated in the upper forest and mist or rain can be expected in the late afternoon. Dinner and washing water will be prepared. After an early and well-deserved breakfast, it is a short 4 to 6 hour and scenic hike back to the Park gate. Some hikers do experience knee problems which could make a descend longer than planned. It is strongly recommended not to pay your porters any tips until you and all your gear have reached the gate safely, visit the tips page for more info. At Mweka gate you sign your name and details in a register. This is also where successful climbers receive their summit certificates. Those climbers who reached Stella Point (5739 m) are issued with green certificates and those who reached Uhuru Peak (5895 m) receive gold certificates, from the Mweka Gate you will continue down into the Mweka village, normally a muddy 3 km (1 hour) hike. In the Mweka village you will be served a delicious hot lunch, After lunch you drive back to Arusha for a long overdue hot shower, dinner and celebrations.